Product prices and availability are accurate as of 2019-04-26 08:55:18 EDT and are subject to change. Any price and availability information displayed on http://www.amazon.com/ at the time of purchase will apply to the purchase of this product. 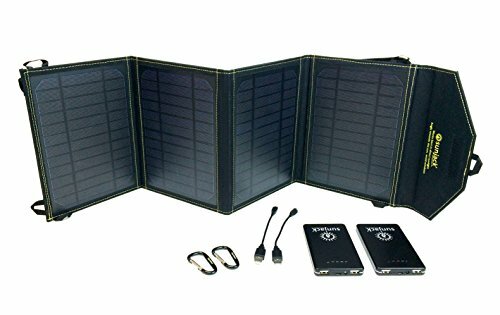 SunJack® helps mobile users stay charged on the go anywhere the sun shines. 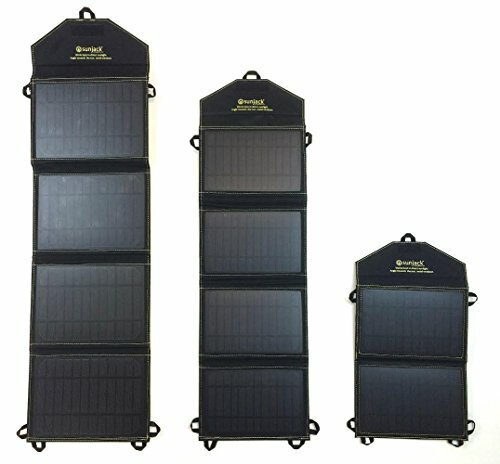 The SunJack® is able to fully charge its internal battery pack in about 5 hours of direct sunlight, or directly power any USB device. When the sun isn't shining, users can still energize their devices from the powerful SunJack® battery, which holds enough charge to power up to 4 smartphones. Portable power is valued by campers, boaters, travelers, survivalists, hunters, rock climbers, and working professionals. The SunJack® is a critical item in any emergency or disaster preparedness kit. There is growing demand to be untethered from a wall socket and to become energy independent. The SunJack® is shipped from California, USA and is supported with a one-year limited warranty. 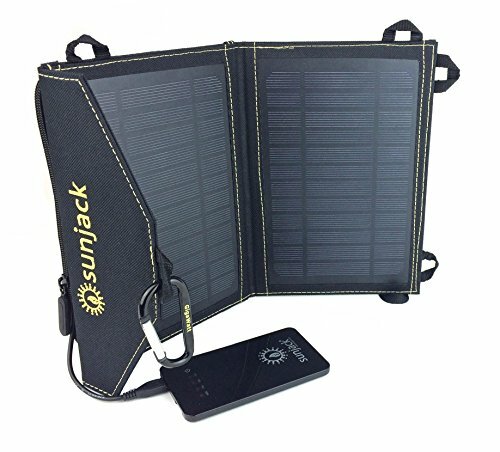 The SunJack® is compatible Withmost mobile phones, iPad/tablets, USB lights, digital cameras, MP3 players, and portable gaming devices: iPhone 6 Plus 5S 5C 5 4S 4 iPad Air Retina Mini Samsung Galaxy S5 I9600 Neo S4 I9500 I9190 S3 I9300 S3 I8190 S2 Note 3 N9000 Gear HTC Sensation One X S EVO 3D 4G DNA Thunderbolt Incredible Droid DNANexus 4 7 10 LG Optimus V Blackberry Z10 Z30 Q5 Q10 Bold Curve Torch Motorola Razr Maxx Bionic ATRIX Nokia Lumia 1020 920 Google Glasses and other 5V Smartphones. 10,000mAh high capacity powerbank charges smartphones and tablets several times over. 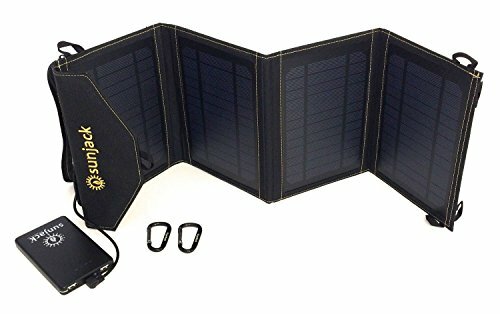 Ultra-portable foldable solar allows for charging when you don't have access to a wall outlet - great for emergencies and going off grid. Two USB outputs let you charge two devices simultaneously. Includes bright LED light with flash and strobe modes. Backed with one-year warranty from SunJack, a local Californian company.